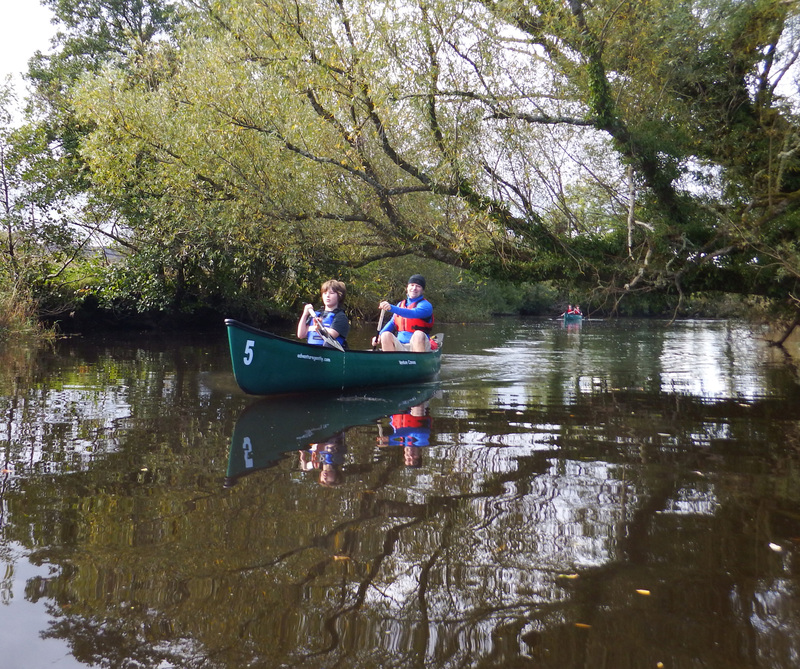 Have a Big Day Out in Leitrim with Leitrim Landscapes Guided Walks, Adventure Gently Canoeing and Electric Bike Trails. We offer you a one hour nature and foraging walk, a one and a half hour canoe trip and, after a break for lunch, a one hour cycle on pedal assists bikes. Get yourself out in nature in a relaxed mode with expert guides from the three Leitrim based businesses and we’ll give you a day to remember. Nestled in the Eastern foothills of the Ballygawley Mountains near the shores of Yeat’s famous Lough Gill, we start our trip in Dromahair. We wander through the lush forests on a short forage and maybe even find some chanterelles if the time of year is right. The little lanes winding their way through a typical rural Leitrim landscape are just perfect for a leisurely ride on the fabulous electric bikes. You might even spot some of the wildlife as you whiz along almost effortlessly. 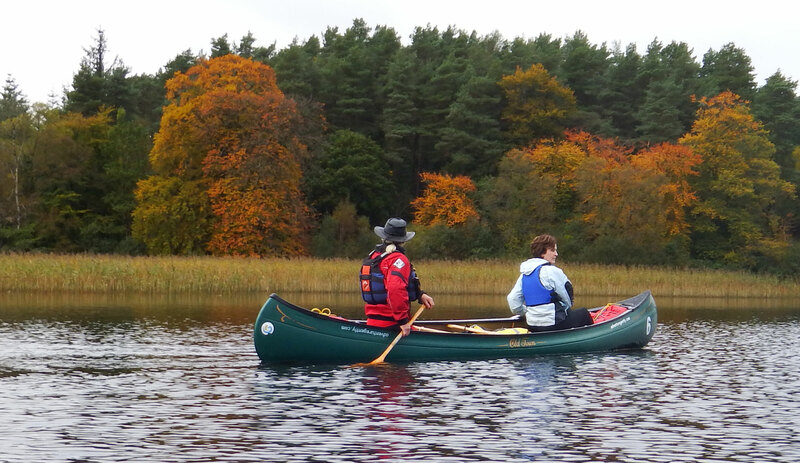 Lough Gill and the wonderful Bonet River are the playgrounds for a short canoe trip with Adventure Gently. One is reminded of times gone by as every bend and every corner unravels a new view. Sometimes we stop at the ruins of an ancient tower house and paddle around the little island close by and count the water lilies. Overlooking fabulous Lough MacNean across to Co. Fermanagh you’ll enjoy spectacular scenery in this unknown little piece of heaven. The forest walk in the former Tottenham estate is home to lots of wildlife and, during foraging season you’ll fill your basket but no checkout! Glide gently on the lake that covers three counties, you might even drift into Cavan you’ll be so relaxed while paddling the Canadian canoe. After a break for lunch, it’s into the saddle for a ride on electric bikes. To test the battery we’ll bring you up a nice hill or two! The local guides tell you all you want to know about the wildlife and some local folklore as well. After a very enjoyable hour, foraging and discovering the beautiful woods and listening to the sounds of nature, you’ll transfer to the canoes just a hen’s race from the woodland. Located just between Leitrim and Roscommon at Batllebridge you get to choose river or canal. In fact, we’re so good to you that we wont make you choose, we’ll let you paddle on both as they flow parallel for some time. 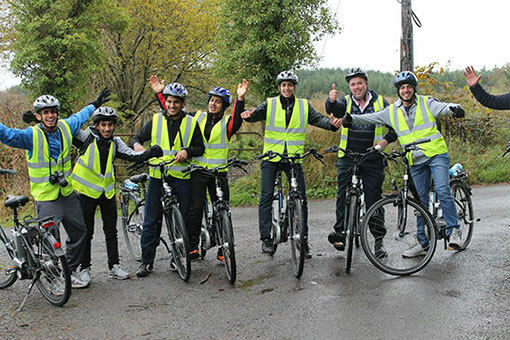 When you’ve had a little rest and some food to keep the energy up, it’s onto the bikes for a fabulous cycle in the byways around Leitrim village. As we’re all about getting you out into nature while enjoying exercise, guides are very well informed about the areas that we visit.